National Wildlife Federation (NWF), America’s largest conservation organization, is proud to announce the fifth annual Hike & Seek cities taking place around the country this fall. Hike & Seek is a cross between a scavenger hunt and nature walk with live wildlife encounters, nature activities and fun interactive stations along the trail. 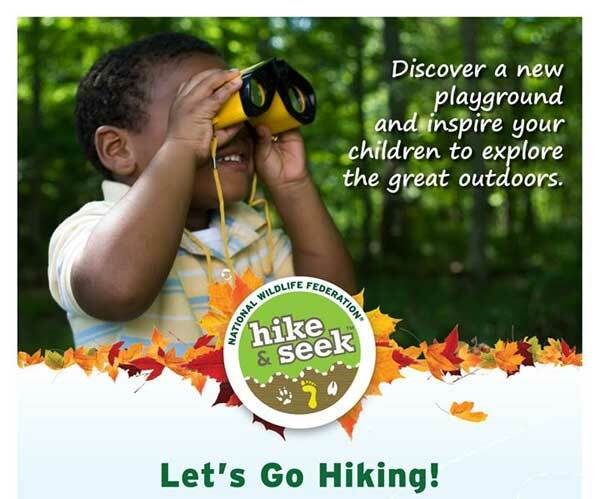 Now in its 5th year, Hike & Seek is a part of National Wildlife Federation’s 10 Million Kids Outdoors Campaign. This three-year initiative seeks a future in which all children spend time outside each day, creating a generation of happier and healthier children with more awareness and connection to the natural world. National Wildlife Federation has worked to connect children and youth with nature for decades, inspiring children through Ranger Rick magazine, working with educators to get kids learning outdoors, and helping parents find new ways to engage their children outside.